40-50 years ago, the steam output from the coal industry was used to provide hot water for the district heating of Miskolc. Every tenth person, 20,000 people in the regional centre town Miskolc used to work in the Szinva valley, where the “Lenin” Metallurgical Works and the Diosgyor Machine Factory were located. The city has changed a lot since then, mostly fuelled by the EU Funds. The decline of the metallurgy (not operating since 2006) and other heavy industries and coal mining in the region, the need for just transition and the decentralised location of Miskolc stretching over several valleys – making the heat transportation and distribution a significant challenge – all called for a more energy efficient system and diverse heating energy supply – away from coal. New, smart and renewable solutions for heating were needed, and EU Funds significantly contributed to realizing them. 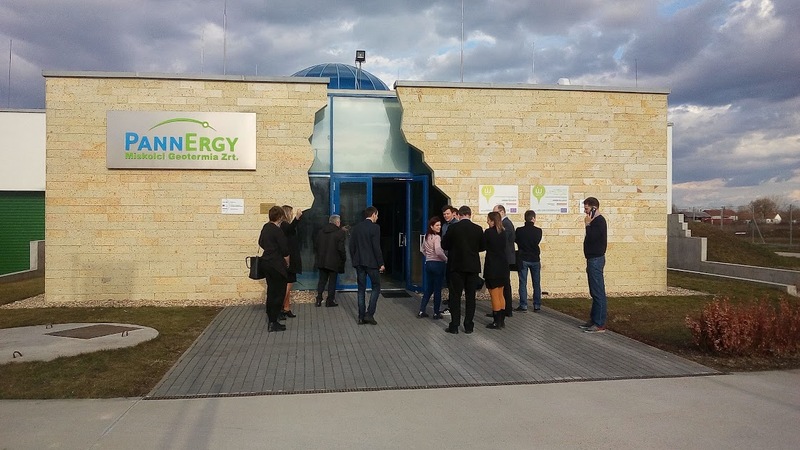 Since the 2000s, the local district heating company in Miskolc (MIHO) has been making clear efforts to diversify energy sources towards more sustainable ones. A solar collector park was built to supply hot water for the block of flats on Futó street, and the company has been using depot gas (methane gas generated by the land-filled waste) produced from the re-cultivated hills where a former landfill used to lie, which can be seen from the Tiszai train station. However, the performance of these installations has gradually deteriorated and, as a consequence, they were partially dismantled. The depot gas is depleting so it is only being used on a temporary basis now. If we are to find effective ways to use renewable energy sources, these sustainability aspects and operating times need to be taken into account. Luckily, the nearby thermal waters in Mályi constitute a reliable renewable energy source for district heating – these thermal waters currently account for 55% of the Miskolc heat supply. In addition, there is no need to degas this hot water as it hardly contains any gas. The 2×30 MW, 800,000 GJ/year big geothermal project was realized from EU Funds – 25 million eur from the Environment and Energy Operational Program. 2 input wells and 3 output wells, a heat centre and 12 km pipelines were developed in 2013-2014, supplying 26,750 flats with hot water as agreed in the 25-year supply contract. The Operational program funding in 2017 and in 2019 (total cost of 4,3 M eur) also enables the company MIHO to add several public buildings, sports centers, spas & swimming pools and multi-apartment houses (including blocks of flats) to the heat supply circuit and develop, reconstruct the system further. Other attempts, such as relying on biomass for district heating, were met with resistance from the locals. The biomass plant in Miskolc is located in one of the most vibrant housing estates, the Kilian blocks of flats. 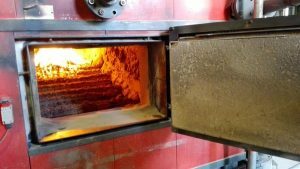 The operators of the plant argue that only water vapor is emitted through the plant chimneys as the dust separator of the biomass plant filters out 99% of the dust. Nevertheless, locals complain year after year of stinging odor and ash on their window ledges. 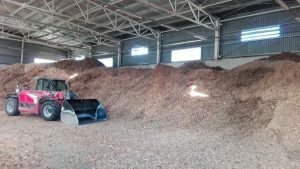 The fuel supply for the plant also raises questions, since only a smaller part of wood chips are from the “wood-waste” from the nearby Bükk forests. More often, the chips are sourced from the farther countryside and Slovakia, and they are often too wet to burn effectively and cleanly in the plant. During the study trip to the Miskolc district heating company, we were informed that a new development is underway which would guarantee that only raw materials with a moisture content of less than 30% can be fed into the boiler of the biomass plant. We also heard a solar panel park will soon be added to the district heating system. As part of the more efficient, smart urban district heating system, the innovative remote monitoring system of the company has reduced the number of user (resident) complaints about heating system failures by 70%. Modernisation is necessary in all the residential buildings of the city, so that heat no longer escapes through the doors, ceilings and thermal bridges. Pipeline system renovations are also long overdue: pipe breaks are still in quite regular occurrence, together with the subsequent energy waste. Miskolc authorities aim to completely eradicate the use of natural gas by 2030 in order to reach full energy independence, firstly in the heating system. The planned use of biogas, biomass, geothermal energy and solar energy will mean more health and less expensive bills for the residents of the town. If district heating here can be provided from renewable sources, then Miskolc, the biggest city in the BAZ region, will constitute an example of clean and effective use of energy for the rest of the country. However, obstacles remain. Due to the state-regulated energy bill prices, energy efficiency investments and measures have a longer payback time. There are some limited EU Funds to make district heating production more efficient and clean but from the user side, renovation support hardly exists. More energy efficiency in the district heating system would also release financial resources, to be dedicated to the renovation of residential buildings and of the district heating pipeline network. Another obstacle is the price. 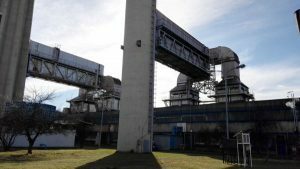 For the residents living in energy poverty, the price of the Miskolc district heating can be still too high. Despite the now mainly geothermal heat source, the household price practically has not decreased since 2013. Since 2012, the district heat supply price is fixed by the Energy Authority for each city. The maximum price for Miskolc is 7,7 eur/GJ, MIHO pays this much to the heat producer Geotermia Ltd, then it supplies residents with heat for 8,4 eur/GJ – the maximum price determined by the Authority. Some politicians already raised the question whether the public prices should be cheaper now as the production price of 1 GJ geothermal heat energy is around 2-2,25 eur in similar cities (earlier, producing 1 GJ heat from the 85% performance gas plants did cost 7,7-8,7 eur). According to the regulation, district supply companies can only have 2% profit from the difference of the producing-consuming price, the rest of the profit needs to go to community development projects like adding buildings to the heating system circuit and system renovation, or the State gets the extra profit. It is not clear whether all the extra profit in Miskolc goes to such community developments and the real production cost of 1 GJ geothermal energy was not communicated due to being a “business secret”. Half of Miskolc households are not even connected to the district heating system. Funding is also scarce and eventual/sporadical for renovating individual household heating stoves or boilers. Thus it is difficult to reduce households energy bills – inside or outside of the district heating system. For the “outsiders”, the challenges are the same as for residents of small villages across Hungary: how to ensure cheap, efficient and clean insulation and heating. The clean technologies that could address this issue exist, but either the local architects and engineers do not know the technologies well enough (straw bale or hemp insulation techniques), or there is no knowledge on how to install the new systems (solar heat collector), or the new technologies are not affordable for the less well off (PV on roof, heat pump etc.). As a next step, NSC-FoE Hungary and its regional partners (Green Connection Association and Ecological Institute) in BAZ county therefore plan to organize strategic discussions and workshops about these affordable insulation and heating techniques and the economic-financial model behind them for the interested BAZ county stakeholders. In this way, we hope to uncover local opportunities on how to train locals and create jobs in this sector in the long term, contributing to a just transition for the region. by Alexa Botar, NSC-FoE Hungary. 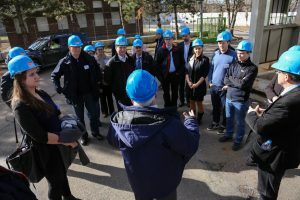 Her and contributor Zsuzsanna F.Nagy (Green Connection Assoc., Miskolc) were invited to a study trip in mid-March to visit the heating system units of the MIHO district heating company, Miskolc. The article is based on our impressions.